Houston Moving Franchise Available. Contact Wildcat Movers if you are interested in joining our team as a Franchisee. Wildcat Movers is looking to partner with an entrepreneurial minded individual looking to take the Houston Moving Industry by storm. 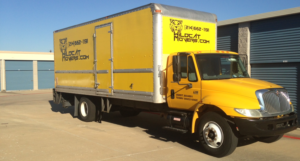 Wildcat Movers plans to expand its operations to the city of Houston, Texas in the near future. Houston is the fourth largest city in the United States, and the largest city in Texas. Wildcat Movers is excited at the opportunity to provide our Top Notch customer service to the expanding Houston metroplex. You need a mover you can trust in Houston, TX. Check out Wildcat Movers Reviews on Yelp and Google. We are the most reliable moving company in the state of Texas.